This multi-purpose reusable tie is durable, strong and easy to use, making it ideal for gently securing plants in the garden. 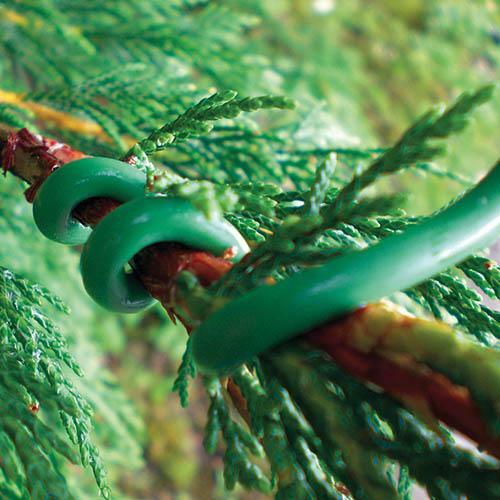 With soft rubber encasing a hardwearing wire, this twisty tie will not cut into or damage plants. Ideal for use all around the garden, it's easy to cut, bend and reshape, plus as it's rubber covered it has a soft grip on stems, helping secure the plant in place and preventing the tie from rubbing the delicate stems. Robust enough to support even the heaviest of plants without any worries of damaging them, the tie is supplied on a continuous roll, so you only cut exactly what you need so no waste! Supplied as a rell of garden rubber-coated twisty tie, 4.8m length x 5mm diameter (approx. ).